Mon., Jan. 29, 2018, 6:09 p.m.
As a public service, I usually provide an annual Super Bowl Viewing Guide (for Super Bowl Parties of Six or More). But this year, all of you are on your own – in short, I recommend Cheez-Its, fried squash blossoms and Yuengling – because I procured an exclusive interview with New England Patriots coach Bill Belichick. Belichick’s press conferences are legendary, for their sometimes brief, sometimes irritable answers. But one-on-one, sans hoodie and hubris, he can be engaging, enthralling, entertaining – and expansive. Couch Slouch: How much does Tom Brady’s status, with stitches still in his throwing hand, complicate the planning process? 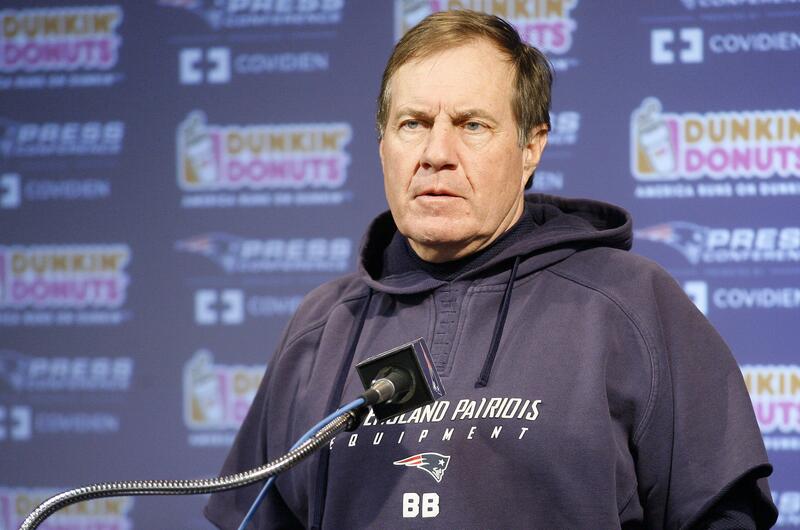 Bill Belichick: I don’t know. CS: Has the condition of Brady’s hand improved from, say, a week ago? BB: We gave out the injury report yesterday. We’ll update it today. CS: What are your expectations in regard to Rob Gronkowski? BB: That’s what we’re thinking. CS: At this point, realistically, how much can you get out of Gronk? BB: You bring players onto the team for what they can do. CS: Might Brady and Gronk both be a game-time decision? CS: Any regrets about trading away Jimmy Garoppolo? BB: I’m not a scientist. CS: Did the three-day government shutdown affect your preparation at all? CS: Would you consider Robert Kraft a friend? CS: Without getting into schematics and strategy, what distinguishes your special teams? CS: But that strange onside kick against the Dolphins in Week 14 – what happened there? CS: There are a lot more shouts and murmurs out there from the days you first started coaching. What’s your best tack with social media? BB: SnapFace, InstaChat and all that, I don’t really get those. CS: When’s the last time you spoke with Donald Trump? BB: I’m trying to coach a football team. CS: Are you at all concerned with Tom Brady’s relationship with Alex Guerrero? BB: The team is excited to play. CS: You’re probably going to lose both of your coordinators to head-coaching jobs next season. Any thoughts on their ability to focus this week? BB: I’d like to go out and have a good practice today. CS: To be truthful, your coaching tree has not been all that fruitful. Any thoughts? BB: Any questions about the game? CS: The Eagles are great at disguising their defenses. How do you prep for that? BB: Whatever team you have, that’s the team you have. CS: Any pregame routine you’ve learned is best for the Super Bowl? Does music relax you? BB: No one can build you the bridge in which you, and only you, must cross the river of life. CS: Your dime package seems very effective, but does it disrupt your base 3-4 mentality defensively? BB: We’re going to continue to get ready for Philadelphia all the way until game time. CS: In the offseason, do you ever allow yourself to sit back and think about your legacy? BB: Brian Hoyer does a great job for us. CS: Upon reflection, would you say you are a very stable genius? BB: I would not say that I’m Mona Lisa Vito of the football world as she was in the car-expertise area. CS: How do you deal with the bevy of distractions the last couple of seasons – Deflategate, the national anthem business, Brady-Guerrero? BB: We’re on to Cincinnati. CS: Actually, the Super Bowl is in Minneapolis. A. Pay the man’s wife, Shirley. Published: Jan. 29, 2018, 6:09 p.m.